As children go back to school from a summer off and days get shorter, many will come down with colds and other illnesses. For some, it will be a simple matter of staying home, sleeping and returning to class once the sniffles have dissipated. For others, a more serious illness may take the place of a common cold and require serious medical intervention, prompting the question: should vaccinations be mandatory for children? The Manitoba Annual Immunization Surveillance Report (2014) states about 61.7% of seven-year-olds in Manitoba have received complete vaccinations for their age group. The Winnipeg Regional Health Authority had the lowest percentage of children complete for this age group, clocking in at 56.5%. The ideal vaccination rate for maximum herd immunity is about 95%. The uptake for flu vaccination in Canada varies from year to year, but typically falls well below the threshold uptake of childhood vaccinations, hovering around 30% from 2003 to 2014 (StatsCan Catalogue no 82-327-X). This low uptake occurs despite the relative ease of receiving the vaccination. Manitoba Health provides the vaccination for free, and pharmacists are able to administer the vaccine to anyone over seven years of age. The oft-cited argument that arises when mandatory vaccination schemes are discussed is that the government cannot force citizens to be vaccinated as this would breach the right to security of the person, which is protected by the Canadian Charter of Rights and Freedoms. In this context, that right means the government cannot force individuals to get vaccinations or undergo medical treatment. However, there are exceptions to this rule. Charter breaches can be acceptable under what is known as a section 1 exception. Section 1 imposes reasonable limits to Charter rights. This clause means the Charter may be breached if the purpose for which the Charter is being breached is of such importance to the nation or collective that the infringement on the rights of the individual is acceptable. The breach must be as little as reasonably possible and rationally connected to the objective. An argument could be made that mandatory vaccinations are an important health initiative such that it is worthy of a Charter breach. However, without a coinciding large-scale outbreak to underscore the importance of vaccinations, the breach may not be justified. A mandatory vaccination policy does not violate the Charter where the individual has the ability to avoid being vaccinated by choosing an alternative course of action. For example, many workplaces that employ health-care workers require employees to be vaccinated as part of their employment policies, but there is no legislation requiring it. This does not violate the Charter as the individual is able to seek other employment if they do not wish to be vaccinated. Similarly, Ontario and New Brunswick avoid triggering the Charter by requiring all students to provide their immunization records to the school when they are registered with a school. If a parent or guardian does not wish to vaccinate their child they must either submit a statement of exemption, or homeschool the child. The goal is to ensure that the majority of students get their vaccinations. Students are expected to be vaccinated for diphtheria, tetanus, polio, measles, mumps and rubella. If children are not vaccinated for those diseases, their parent or guardian must present a statement of exemption for medical, religious or conscience. 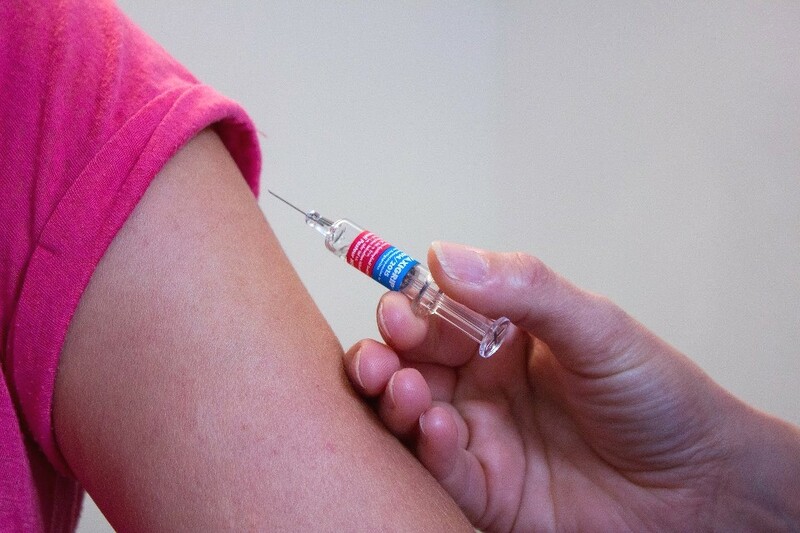 Students who are not vaccinated may be forced to stay home during an outbreak. If a parent or guardian does not provide the school medical officer with an exemption statement or immunization record showing all vaccines have been received, the student can be suspended for a period of 20 days. Alberta had considered imposing similar legislation, but ultimately did not proceed with signing the proposed legislation into law. At one time in Manitoba, measles vaccinations were mandatory for students registering for school. That is no longer the case and all vaccinations are optional for Manitoba residents. However, Manitoba schools do have the ability to exclude an unimmunized child from school for a period of five to 21 days after they are exposed to a potential carrier. One consideration for a mandatory student immunization program is whether health-care providers should be able to disclose medical records directly to schools. Both Ontario and New Brunswick have specifically included provisions in their legislation to allow public health entities to exchange information regarding a student’s age, address and immunization records with schools. This ensures schools receive immunization records even where a parent may not have complete information or may have forgotten to update the school. New Brunswick’s policy specifically notes that schools need to comply with the Personal Health Information Privacy and Access Act and the Right to Information and Protection of Privacy Act. If Manitoba were to adopt a program similar to that of Ontario or New Brunswick, they could incorporate a similar provision or amend privacy legislation to permit immunization records held by Manitoba Immunization Monitoring System (“MIMS”) to be released to schools when a pupil is registered. As MIMS maintains a central registry of immunizations for Manitobans, this would streamline the process, especially where parents may have kept incomplete records and would otherwise need to seek out immunization records from various health-care providers. In accordance with privacy legislation, the government would need to ensure only the minimum amount of information necessary is released to the school. As school divisions and health-care providers are both bound by the Freedom of Information and Protection of Privacy Act, the exchange of information between the two should not be a significant concern. If the provincial government is unwilling to impose a vaccine policy for school age children, but still wishes to increase vaccine uptake among Manitobans, they could also consider expanding the scope of practice and prescriptive powers available to pharmacists. While pharmacists in Manitoba are already able to administer HPV, flu, Tdap and Td vaccines if they have the necessary training, altering the scope of practice and prescriptive powers afforded to pharmacists by adding other routine vaccinations, lowering the patient age requirements and remunerating pharmacists for educating patients and clients about the merits of vaccination may be a less invasive means to improve vaccination rates in our communities.